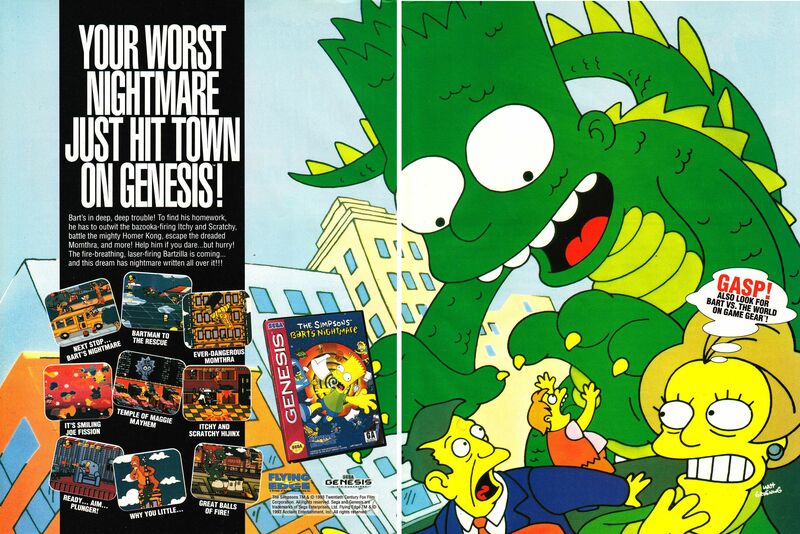 The Simpsons: Bart’s Nightmare was the family’s first original outing for 16-bit consoles. Bart falls asleep while studying for a test or writing a paper or something, and you have to round up the lost pages from his work in a variety of mini-games that range from good to downright terrible. This ad is for the later Mega Drive release – the game was exclusive to the Super Nintendo for a short time.